As your local Healthwatch we listen to your views and experiences and share them with people who make key decisions about health and social care services. If you have got something to say about your experience of your doctor, dentist, a hospital stay or an family member who is accessing a day care services or a nursing home, we want to hear from you. There are over 70 different types of organisations involved in complaints handling, so knowing where to start can be confusing. Healthwatch England has worked with Citizens Advice to produce a series of guides to help to make the process easier to understand. 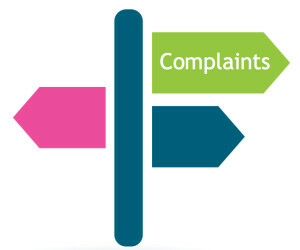 You can view these handy guides here or if you are trying to find out who to address complaints to about a service in Dudley borough, please contact us and we will point you in the right direction. Local Healthwatch organisations were introduced on April 1st 2013 across the country as a result of new government legislation around health and social care. There are 148 local Healthwatch in England which all work with the national consumer champion Healthwatch England which is part of the Care Quality Commission. We have been asked lots of questions about who we are, how we operate and how we support people in Dudley borough. Here is a list of the things we have been asked the most and are continually adding to it, so please get in touch if there is anything you would like to know. What is Healthwatch Dudley? Healthwatch Dudley is your champion for both health and social care services in Dudley borough. We will listen to your views and work with you to improve local services for everyone. If you have received good service, we want to hear from you so that your experience can improve local standards. If you are not happy about something we will listen to you and tell you how to complain. If lots of people tell us about the same concern, we will talk with the people who make decisions so that they can do something about it. Healthwatch Dudley can also signpost you to local health and social care services. What do you mean by signposting? If you need to know where to find a local care home, or want to know what mental health support is available in Dudley borough, we can point you in the right direction. Or perhaps you feel that you have received an unacceptable service from a health or social care provider? Get in touch and we can let you know your options. What is Healthwatch England and what other areas are covered by local Healthwatch? Healthwatch England sits within the Care Quality Commission (CQC) and is the umbrella body for a network of 148 local Healthwatch organisations that represent every community in England. Have you got any real powers? By law, Healthwatch Dudley has a seat on the Dudley Health and Wellbeing board. The value of our input has been recognised by partnerships across the borough and we also have seats on the Dudley Clinical Commissioning Group (CCG) Board and Dudley Safeguarding Adults Board. We have the right to respond to local issues using enter and view (see below) and the power to take complaints that are not addressed locally to Healthwatch England and the Care Quality Commission (CQC). What is Enter & View? Healthwatch Dudley has the power to visit communal spaces in local health and social care settings. The exception to this is children’s settings, which are covered by Ofsted. Visits can be by arrangement or unannounced and we will listen to people who access the service and make observations about what we see. If any issues that we find are not addressed locally, we have the power to take things further through Heathwatch England and through the Care Quality Commission (CQC). Who is Healthwatch Dudley accountable to? Voluntary sector support charity, Dudley Council for Voluntary Services (Dudley CVS) holds the contract locally for Healthwatch Dudley. Healthwatch Dudley has its own independent board, which sets priorities and creates work plans to deliver the service. Ultimately Healthwatch Dudley is accountable to local people and partners and we expect to be measured by our results. What will you do with my details or any information that I give you? Your views are essential to enable us to build up a clear picture of local people’s health and social care experiences. If you tell us something that another organisation needs to know in order for them to take action, we will ask your permission before sharing any personal information. We will always do what we can to ensure that your information is protected and treated securely. Any details that you give us will be held in accordance with the Data Protection Act 1998 and our policies on confidential and personal information. Who we disclose information to: Healthwatch Dudley may disclose the information that we obtain to a number of other organisations, including: Healthwatch England, the Secretary of State for Health, the Care Quality Commission (CQC), the NHS Commissioning Board, Monitor, local authorities in England as well as local health and social care partnerships and organisations. We may also share information with suppliers that we may engage to process personal information on our behalf. However, we will only disclose your personal information where we have your consent to do so, or where there is another very good reason to make the disclosure. For example, we may disclose information to CQC or a local authority where we think it is necessary to do so in order to protect a vulnerable person from abuse or harm. Any such disclosure will be made in accordance with the requirements of the Data Protection Act 1998. Wherever possible, we will ensure that any information that we share or disclose is made anonymised, so as to ensure that you cannot be identified from it. Do you have a responsibility for advocacy? If you are having difficulty registering with a local service, or if you want to make a complaint but are struggling with the paperwork, we can put you in touch with people who can help. POhWER supports people locally with complaints about care or treatment provided by the National Health Service (NHS) and there are other local services that we can introduce you to, such as Dudley Advocacy who may be able to help. The name Healthwatch Dudley implies that there might not be a connection for social care? Healthwatch Dudley represents children and adults who access both health and social care services. Social care covers many different settings from care homes for older people, day services for adults with learning disabilities and specialist youth clubs for disabled children. What about children and young people? Every local Healthwatch has a requirement to involve children and young people in its work, particularly those who are the most disadvantaged. We work with local children and young people and the many organisations that represent them to ensure that their views are known and included in local decisions that are made. How does Healthwatch Dudley involve volunteers? From supporting our research and sharing information at activities and events to helping us to process community data, volunteers are extremely important to us and are involved in much of what we do. If you would like to join team Healthwatch do get in touch!